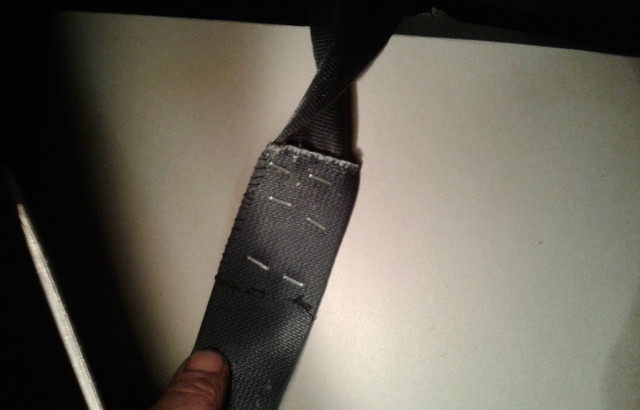 Ian, from Castlehill services, sent us this picture of a seat belt repair on a 2005 Suzuki Vitara which was presented for an MOT. When the owner of this vehicle dropped it off with Martin, at Discount Tyres in Sittingbourne for its MOT, they mentioned a noise which had been coming from the front of the vehicle when braking. Someone attempted to remove the track rod ends. After removing a nut they replaced it with a wood screw to make what they thought was a safe repair. It doesn’t take long to spot what’s missing here. David Albin sent us this picture of a Saab presented for test after having new brake discs fitted and there appear to be split pins on the front ball joints. 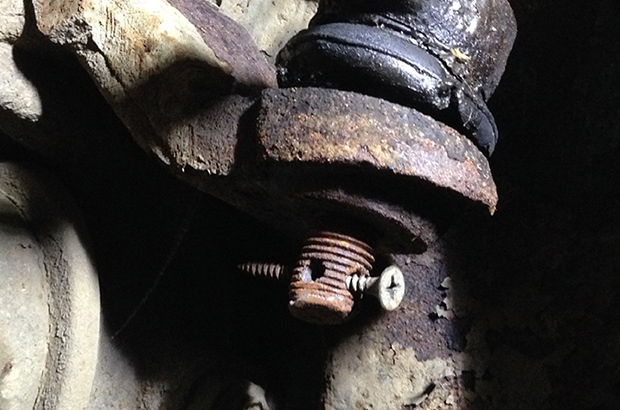 This photo sent in by Phil Green from Lincoln shows a front suspension ball joint completely separated from the lower suspension arm. We see a lot of tyres below the legal limit and it’s regularly among the top five failure items, but we hope you don’t see many like this. A novel way to stop that suspension knock! 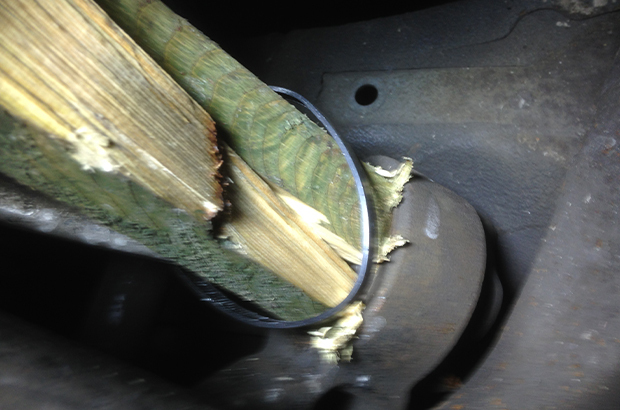 The owner said he'd done a repair to the suspension to stop a knocking noise. Sent in by Andy Evans, this photo shows damage to the wheel and tyre of a BMW 5 series believed to be the result of a pothole.